Police had to smash their way into a car to save a panting dog who had been locked in as the blazing hot sun caused temperatures to soar. Roy Paterson (63), Greenpark Drive, Polmont, believed he was entirely justified to leave his dog in the car in Argyle Street, St Andrews – despite the fact temperatures were hitting 25 degrees Celsius – and was more upset about the damage to his car than the condition of his pet. Concerned passers by called police to the car park after they noticed the poor animal being cooked alive in the back of Paterson’s Volvo estate. 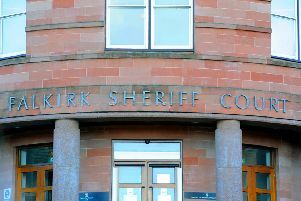 During a trial at Dundee Sheriff Court, Paterson claimed he had not caused the dog unnecessary suffering on July 23 last year and had left a bowl of water, cracked the car’s windows open and parked under an overhanging tree. However, police officers told the court they found the dog “heavily panting and in distress” when they arrived and had to call in vets from a nearby practice because the animal was acting “aggressively” due to the heat. PC Johnathan Gordon (27) said he was one of the first two officers on the scene around 45 minutes after police were first called. He said: “Members of the public were making comments about the dog – that it was shocking and it was a shame. It was agreed to gain entry to the vehicle and we smashed the back nearside window. “The vet went in to the car to take control of the dog. The dog’s collar had a number and my colleague called it and the accused and a female arrived shortly after. “He was obviously very upset we had gained entry and said he had done enough for the dog and tried to justify himself by saying the windows had been cracked open and a water bowl had been left. 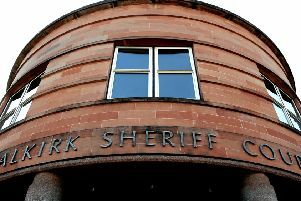 At the end of the two-day trial, Sheriff Jillian Martin-Brown ruled Paterson had caused the dog unnecessary suffering by leaving it “exposed to excessive temperatures” and convicted him under the Animal Health and Welfare (Scotland) Act.